Those willing to get Ukrainian citizenship should pass an exam in the Ukrainian language. Petro Poroshenko, the President of Ukraine, signed the relevant decree. According to the document, the Cabinet of Ministers has to approve a 10-year program on the acceleration of the status of Ukrainian language within two months. 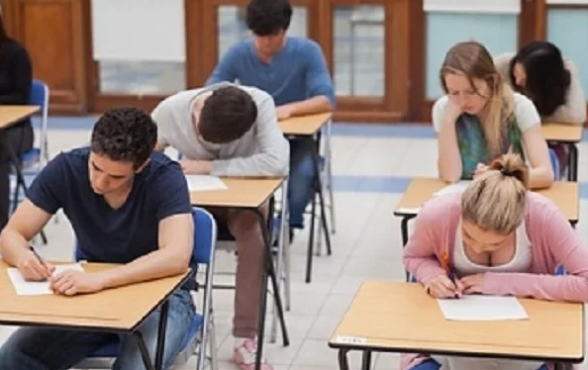 In particular, it is planned to “improve the level of teaching of the national language in the educational institutions, to facilitate the process of learning the Ukrainian language for foreigners, to develop distance and online courses on the Ukrainian language, to introduce certification exam in the Ukrainian language for those who applied for Ukrainian citizenship. A foreigner has to provide a certificate which approves that he/she knows the Ukrainian language to get Ukrainian citizenship. Educational institutions issue such certificated. Earlier, Poroshenko signed a decree on the declaration of a decade of the Ukrainian language. The decree provides the approval of a target program on 2018-2028 aimed at the comprehensive development and functioning of the Ukrainian language as an official language in all the fields of social activity, the creation of a united cultural space in Ukraine and preservation of cultural integrity.